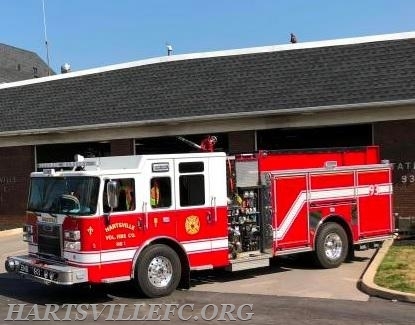 Hartsville Fire Company today made history by housing the new Engine 93. Chiefs past and present pushed the apparatus in first, then many of our firefighters pushed it in afterwards. We would like to thank all of you, especially the kids, who came out today to support us and watched the ceremony. In addition, special thanks to The Warminster Fire Department for coming out to show their support as well. Many months of hard work from our members went into the planning, building, testing and so much more of the new engine. It is with this dedication and commitment to our fire company, by our members, that we succeed as an organization. It is also important to say, that it is the support of our community that helps us provide to you, the people of our community, the services that we do. The tradition of housing a fire engine dates to more than 100 years, but today it is used to announce to the community, that it has a new source of pride. 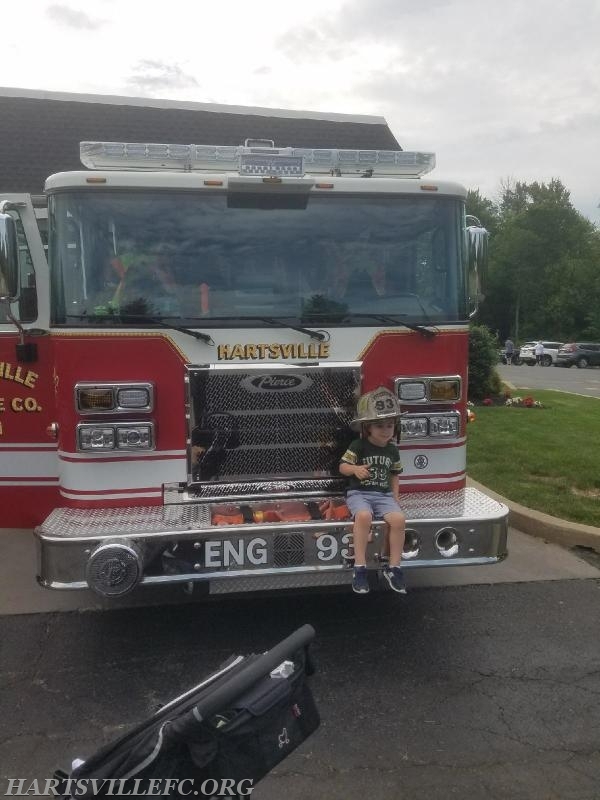 On behalf of the members of Hartsville Fire Company, we would like to present to you, your new Engine 93.